Last week I spent a little too much time around people who were sick so this week I have been fighting the strangest little cold. Oh well! 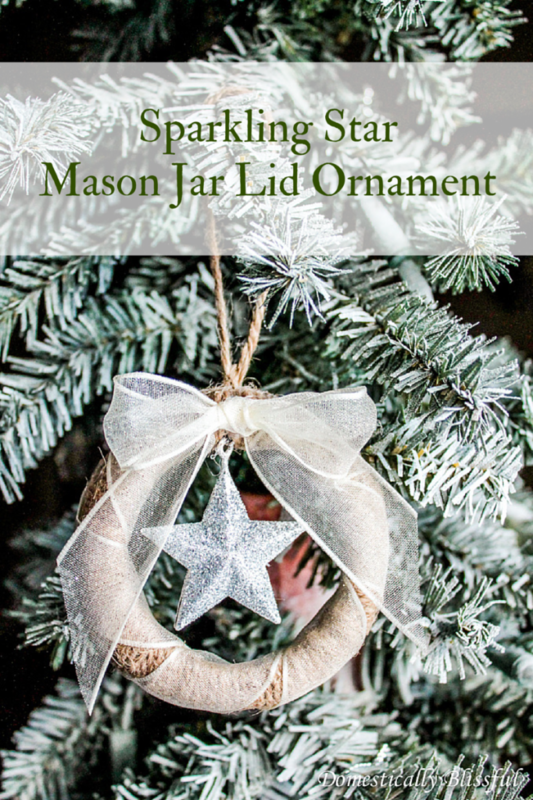 At least I get to spend more time looking at my Christmas tree & sparkling silver branches while drinking lots of hot lemon water with honey! 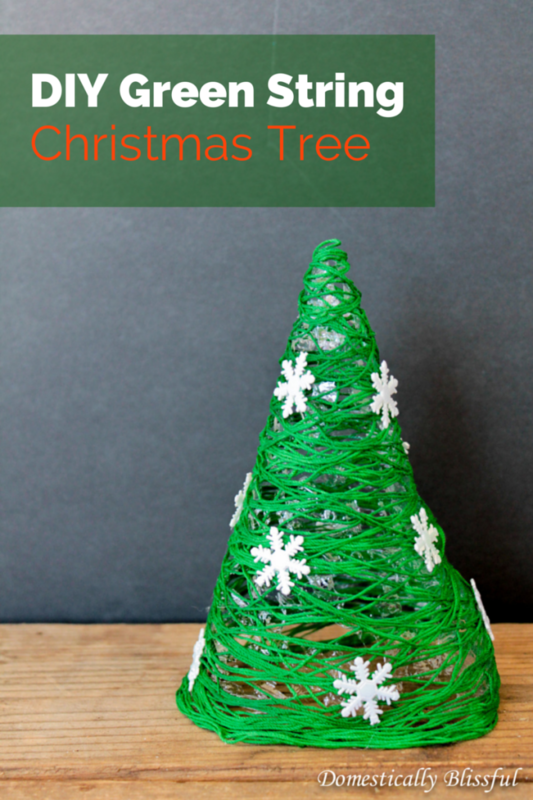 Luckily, being sick also doesn’t keep me from watching Christmas movies, wrapping presents, & Christmas crafts! 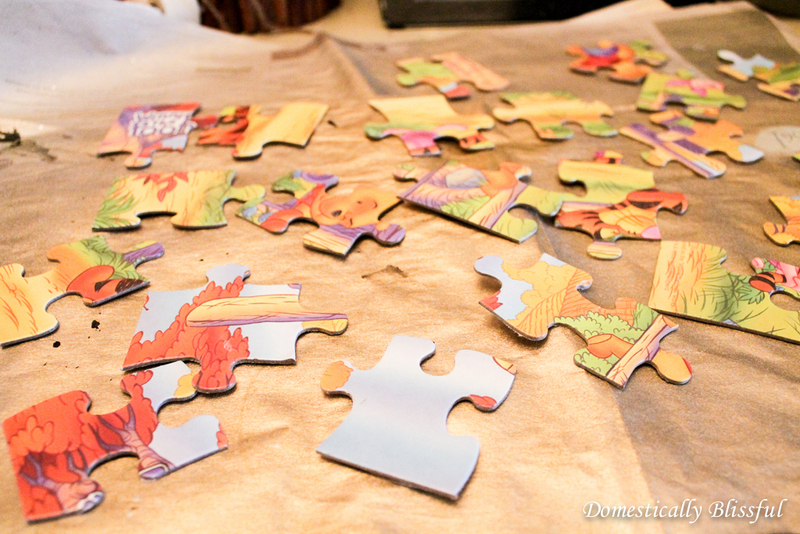 For a while I have been eyeing the puzzles at the dollar tree & while I have a fun idea for them, I just couldn’t wait to do something with them till the new year. 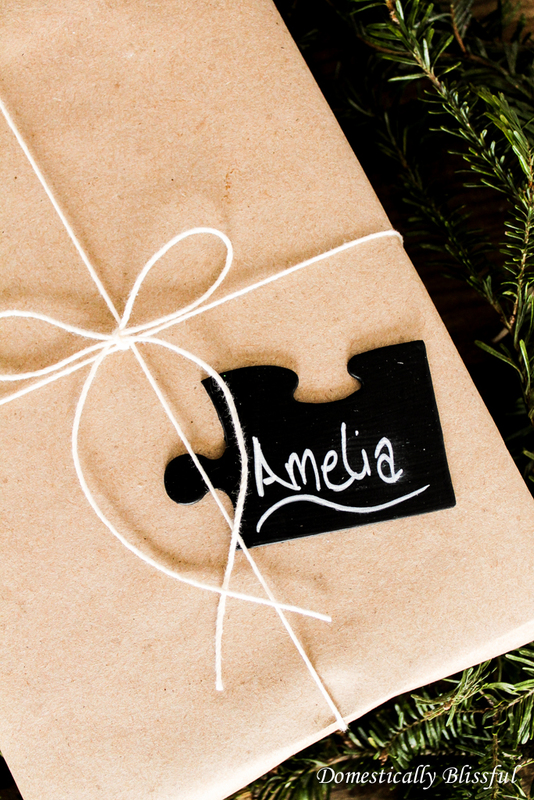 So I decided to create these fun little Chalkboard Puzzle Piece Gift Tags. 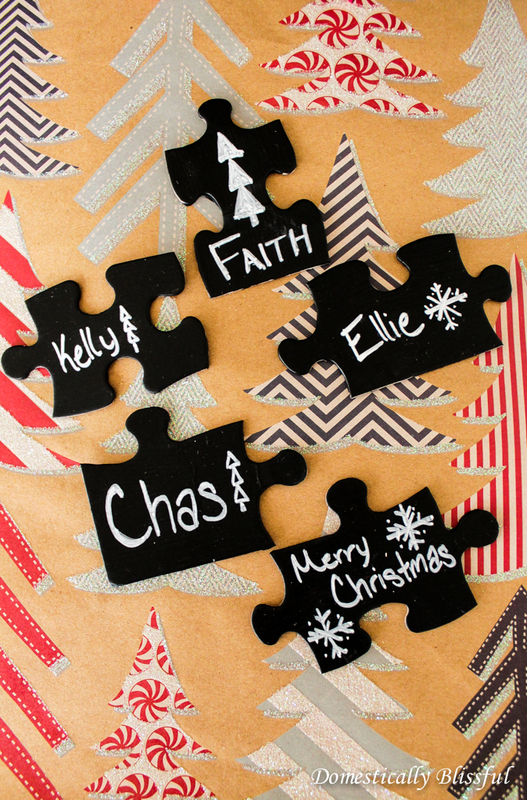 These Chalkboard Puzzle Piece Gift Tags are very easy to make & they can be decorated by the whole family! 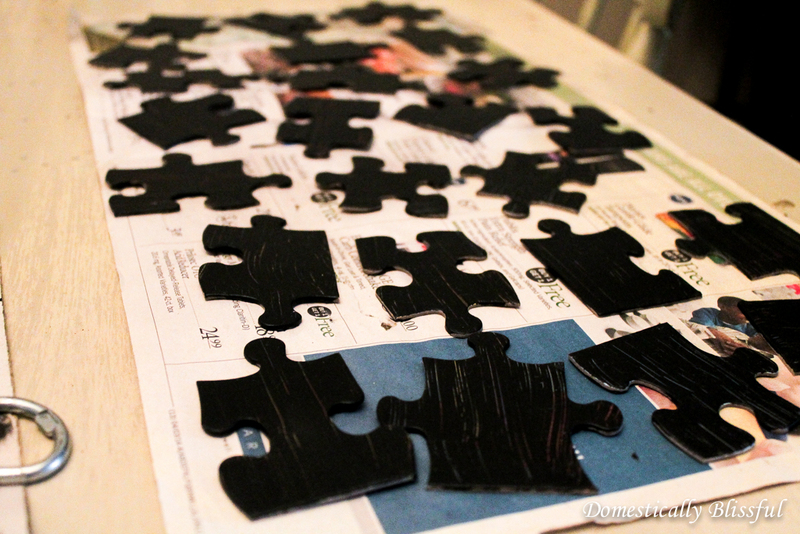 First, lay out some old newspapers and place the puzzle pieces on top. I felt pretty bad about painting over Winnie the Pooh! 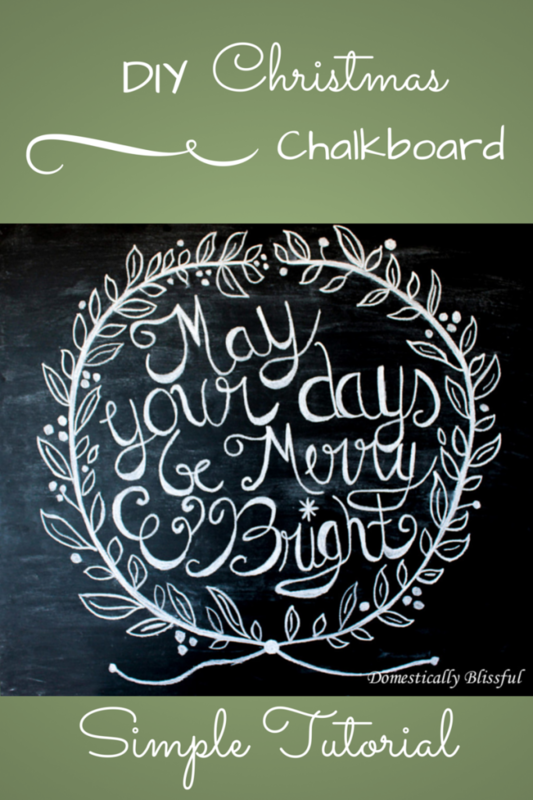 Then paint on a layer of chalkboard paint. 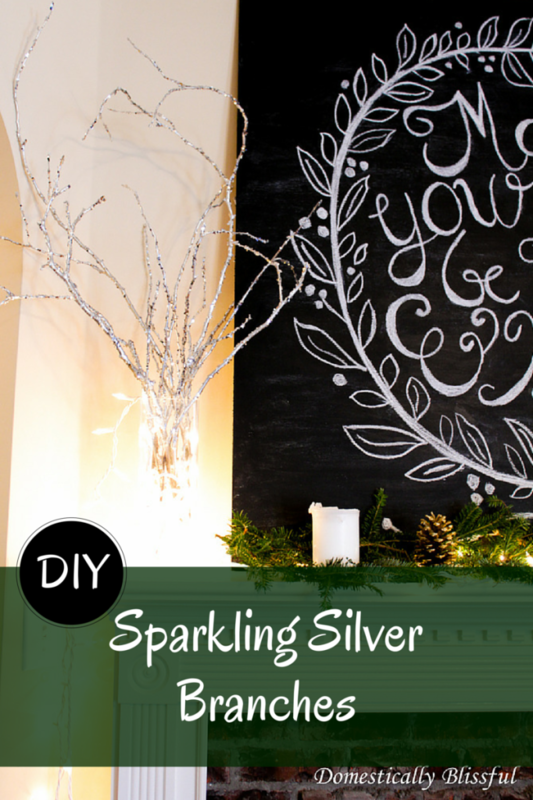 Let dry according to the instructions on the can & then paint on another layer. 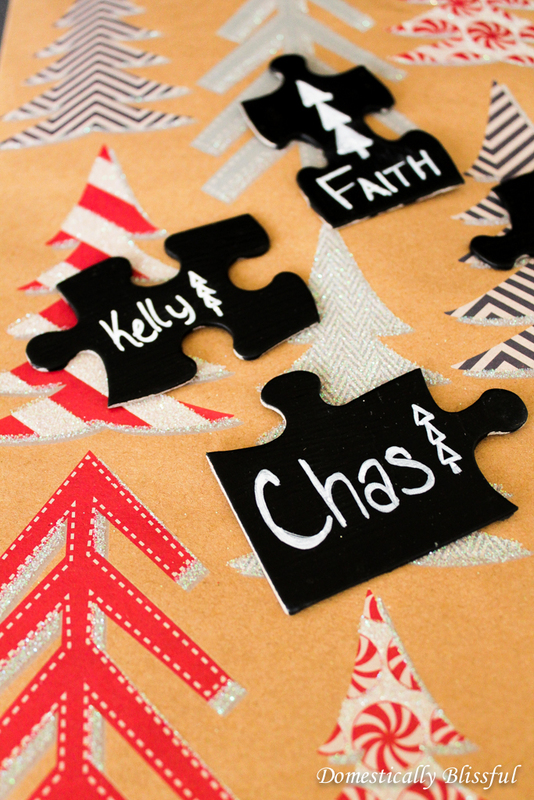 Once dry decorate your Chalkboard Puzzle Piece Gift Tags with your chalk pen. 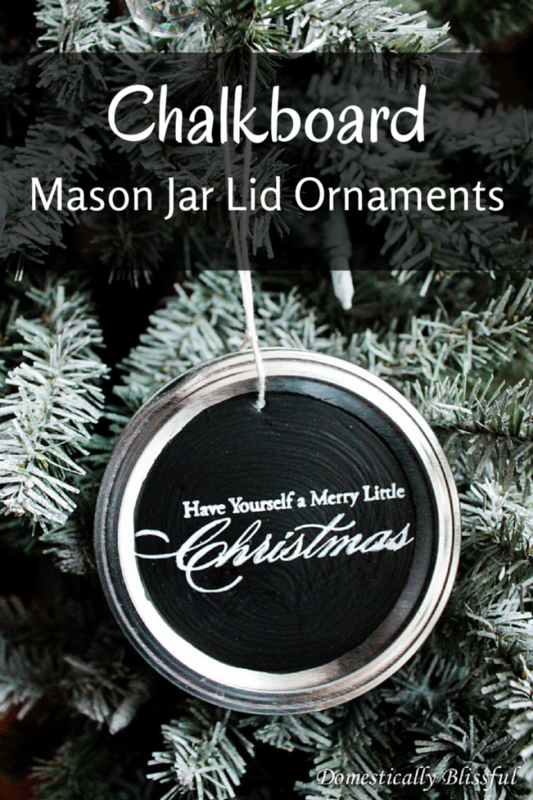 That couldn’t have had been any easier right? 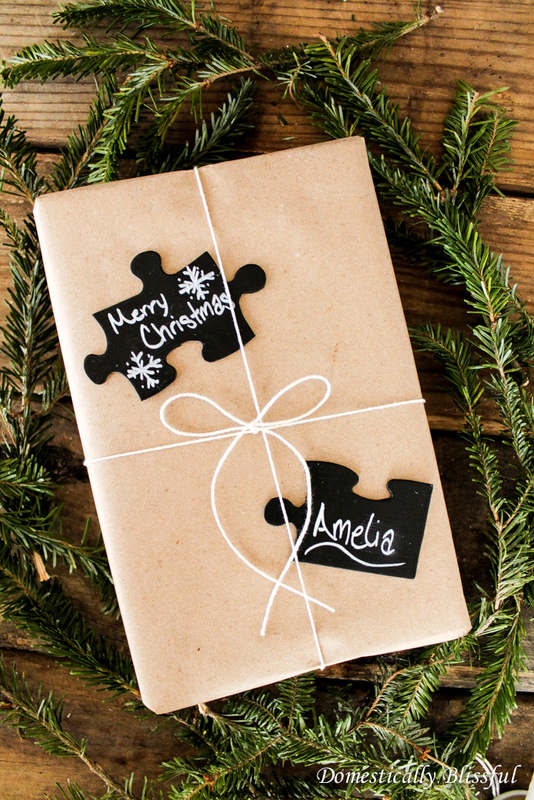 Then all you have to do is attach a piece of double sided tape to the back of the puzzle piece & attach it to your present! 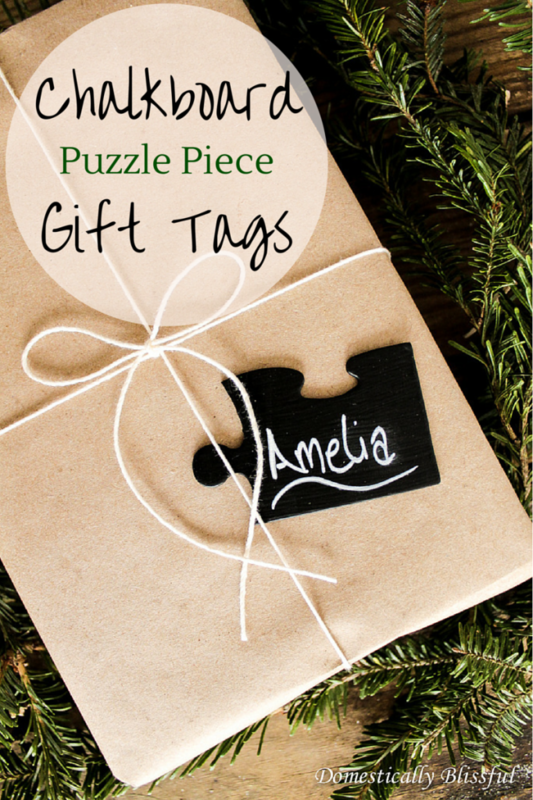 I’d love to see your Chalkboard Puzzle Piece Gift Tags! 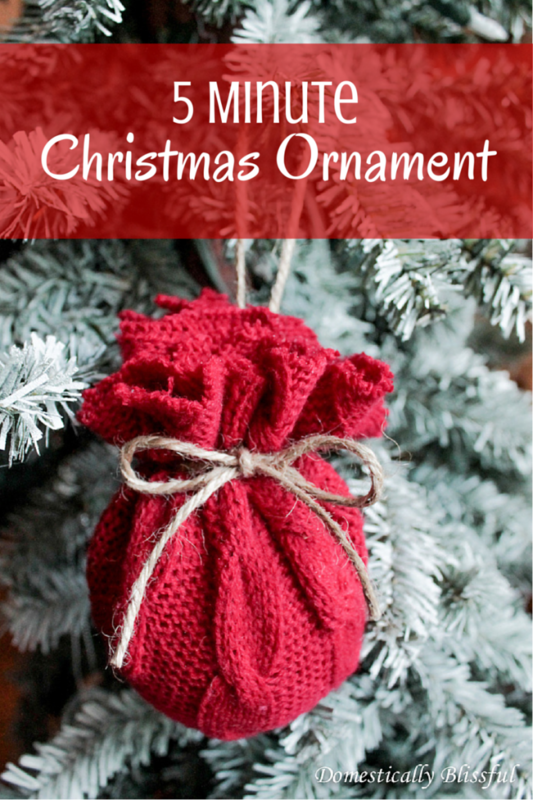 Show off your Domestically Blissful inspired Christmas crafts on Instagram with the hashtag #DomesticallyBlissful for a chance to be featured on DB’s Instagram!